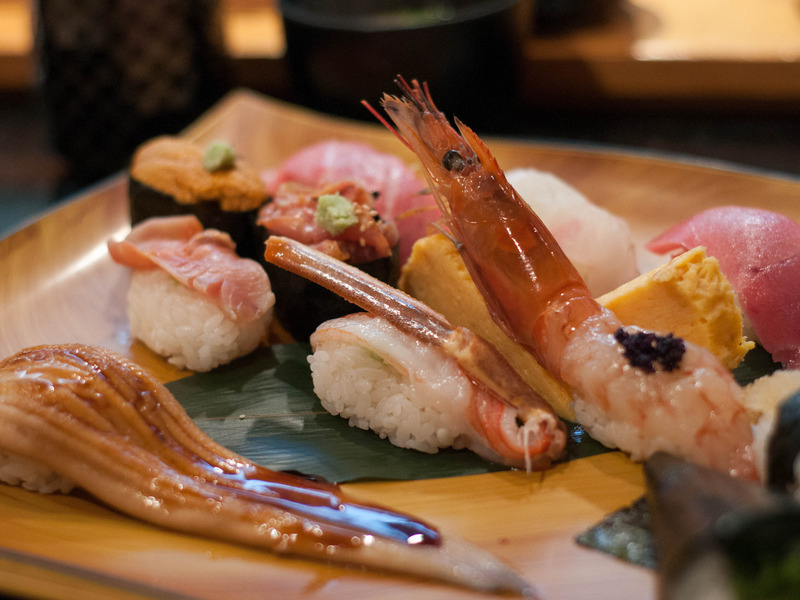 From the perspective of almost everyone else in the world, the Japanese have an enviable relationship with food. 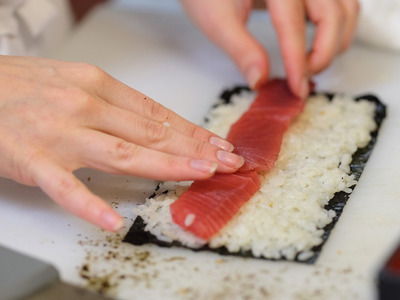 Japanese cuisine — with its focus on fresh vegetables, even fresher fish, delicate soups, and exquisitely presented rice dishes — has a global reputation for healthfulness. In China, many women regard eating “Japanese food” as the secret to health and beauty. The Japanese must be doing something right, given that they live longer, on average, than people from any other nation. For a rich nation, Japan has remarkably little obesity. Figures from 2013 suggested that just 3.3% of Japanese women were obese, compared with 20.9% of women in Poland, 33.9% of women in the United States, and 48.4% of women in Egypt. It’s easy to look at Japan and think that there must be something essential in the culture that makes the nation eat so well. But there was nothing inevitable or innate in the Japanese spirit that gave them their near-ideal diet. The Japanese only really started eating what we think of as Japanese food in the years after World War II. In the 1950s, as the national income doubled, people migrated from the land to tiny city apartments. Everyone aspired to buy the “three sacred treasures”: a TV, a washing machine, and a fridge. In 1955 the average person in Japan ate just 3.4 eggs and 1.1 kilogram (2.4 pounds) of meat a year, but 110.7 kilograms (244 pounds) of rice; by 1978, rice consumption had markedly decrease, to 81 kilograms (178.6 pounds) per capita, while people were now eating 14.9 eggs and 8.7 kilograms (19.2 pounds) of pork alone, not to mention beef, chicken, and fish. But this wasn’t just about Japan moving from privation to plenty. More than anything else, it was a shift from dislike to like. Where once it was seen as extravagant in Japan to serve more than one or two dishes to accompany the evening’s rice, now — thanks to the new affluence — it was becoming common to serve three or more dishes, plus rice, soup, and pickles. Newspapers published recipe columns for the first time, and after centuries of silence at the table, the Japanese started to talk with great discernment about food. They embraced foreign recipes, such as Korean barbecue, Western breaded prawns, and Chinese stir-fries, and made them so much their own that when foreigners came to Japan and tasted them, it seemed to be “Japanese food.” When Japanese cooks encountered new Western foods, they did not adopt them wholesale, but adapted them to fit with traditional Japanese ideas about portion size and how a meal should be structured. When an omelet was served, for example, it probably did not have fried potatoes on the side as it might in the West, but the miso soup, vegetables, and rice. 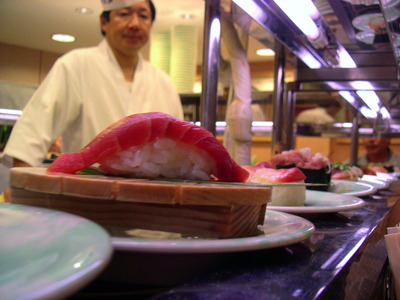 At last, Japan had started eating the way we expect them to: choosily, pleasurable, and healthily. The food scholar Elizabeth Rozin has spoken of the “flavour principles” that flow through national cuisine, often changing very little for centuries, such as “onions, lard and paprika” in Hungary or “peanuts, peppers and tomatoes” in West Africa. “It would be unlikely,” Rozin writes, “for a Chinese person to season his noodles with sour cream and dill as it would be for a Swede to flavour his herring with soy sauce and ginger root.” Yet Japan shows that such unlikely things do happen. Flavour principles changes. Diets change. And the people eating these diets also change. It turns out that wherever they are from, people are capable of altering not just what they eat, but also what they want to eat, and their behaviour when eating it. It is startling that Japan, a country whose “flavour principles” include little spice except ginger, should fall in love with katsu curry sauce made with cumin, garlic, and chilli. A country where people once ate meals in silence has shifted to one where food is obsessively discusses and noodles are loudly slurped to increase the enjoyment. So perhaps the real question should be: If the Japanese can change, why can’t we? Adapted excerpt from First Bite: How We Learn to Eat by Bee Wilson. Copyright © 2015. Available from Basic Books, an imprint of Perseus Books, a division of PBG Publishing, LLC, a subsidiary of Hachette Book Group, Inc.